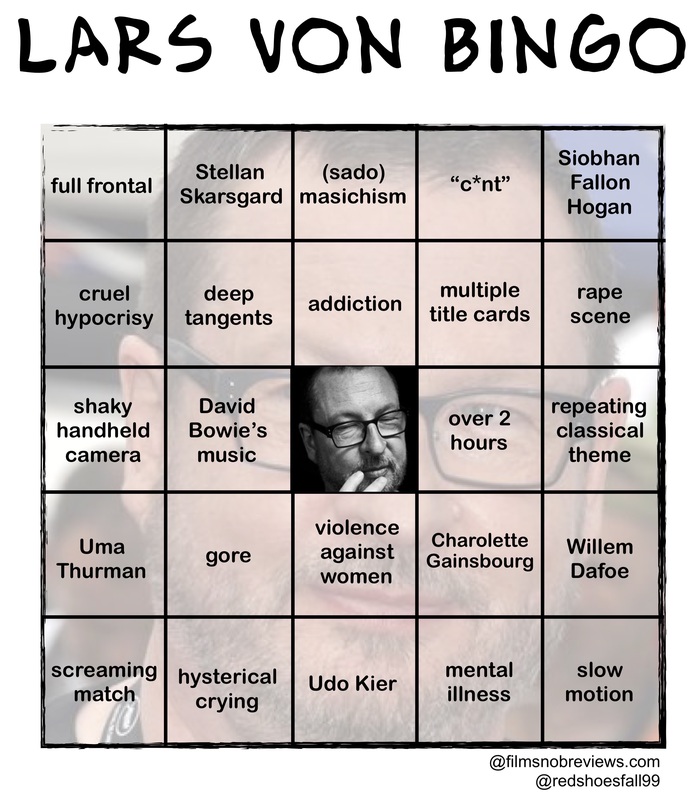 Just for fun, we decided to create a solid Bingo Sheet based on the numerous tropes and commonalities to be found within the works of Danish auteur Lars Von Trier, a director known for his part in establishing the Dogme 95 film movement and his love of pushing people’s buttons as far as they will go. He’s the creator of the Golden Heart, Depression, and Dogville series, including the films Dancer in the Dark, Melancholia, Nymphomaniac, Antichrist, Breaking the Waves, and, more recently, The House That Jack Built. Despite his notoriety due to controversy and being one of the leading faces of modern avant-garde cinema, Trier films tend to share an increasing amount of certain characteristics or nuances the more of them you watch. Upon viewing any one of his movies, perhaps play this nifty little game to see what you find. This was almost a drinking game… but we didn’t want to kill anybody. Have fun, and Trier responsibly.